Tiger has erected a mythology of our world, of how it breathes, and so she allows us a glimpse into how it is revealed. And while there can be sorrow, even profound grief in it, there is also quiet joy that is completely realized. for the light of day. the mourning doves? among any birds or beasts? MADELINE TIGER’S recent collections are From the Viewing Stand (2012), The Atheist’s Prayer (2010), and The Earth Which Is All (2008). Her work appears in journals and anthologies; e.g., Adanna, Evening Street Review, Marsh Hawk Review, The Journal of New Jersey Poets, Oxford Magazine, Paterson Literary Review, Tiferet, West Wind Review, and Home Planet News. She is the recipient of many prizes, including the Still Waters Press manuscript prize. She has held fellowships from the N.J. State Council on the Arts, Virginia Center for the Creative Arts, and Columbia University School of the Arts. She has been teaching in state programs and private workshops since 1973. 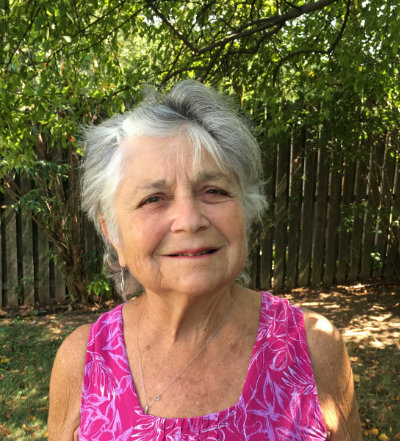 She is retired from teaching in high schools and Writers-in-the-Schools programs in New Jersey and the Geraldine R. Dodge Foundation. Currently, she gives private workshops for adult writing students. She has lived in New Jersey for many years, in Bloomfield since 2000.